UPDATE: KPRC-TV has issued an apology to KTRK-TV over this incident. Twitter and social media is certainly changing the way news stories are covered, but using a social media account to share a competitor’s coverage is a bit odd. 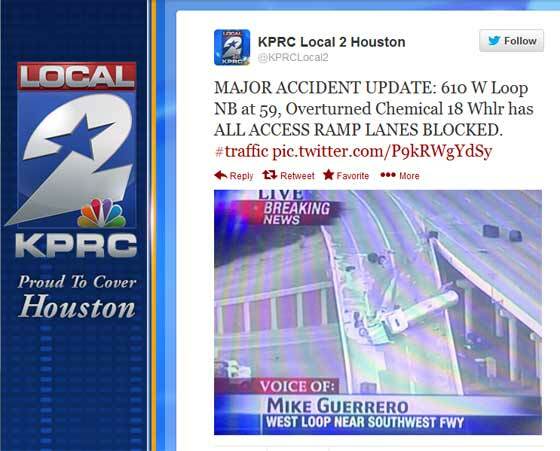 KPRC-TV, the Post-Newsweek NBC affiliate in Houston, decided to tweet screenshots of crosstown rival KTRK-TV’s coverage of a truck accident.